'I have lost my important Files and now getting no option to undelete those shift-deleted files'. Many persons faced the same issue. The best thing is you can undelete the lost files easily to its previous position for free. If you could not restore the files using Windows OS settings then some premium recovery tools are here to do this easily. But, don't be stressed as you can do it for FREE with MiniTool Power Data Recovery. This tool can recover files from MAC and Windows like Stellar Phoenix data recovery. MiniTool supports MAC OS X v10.5 and above and Windows XP/Vista/7/8. MiniTool provides free download for MAC and also for Windows OS it has a free version as well. MiniTool version 7.0 & 7.5 are very common amongst the best recovery tools to recover digital media or any other files from lost/deleted partition, damaged drive and from an external flash drive also. This tool holds two scan features, deep scan & full scan which help to find any inaccessible files from the computer. Also, the 'Advanced Filter' option which is the best thing to save time while scanning the PC. Before choosing this tool let's discuss some points and start a quick review of MiniTool Power Data Recovery. MiniTool provides free versions for Windows to download and run. 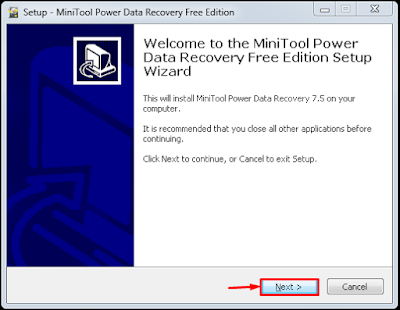 This Power Data Recovery tool is safe and more simple to process any recovery action. You can easily scan and preview any lost files for Free and then download. 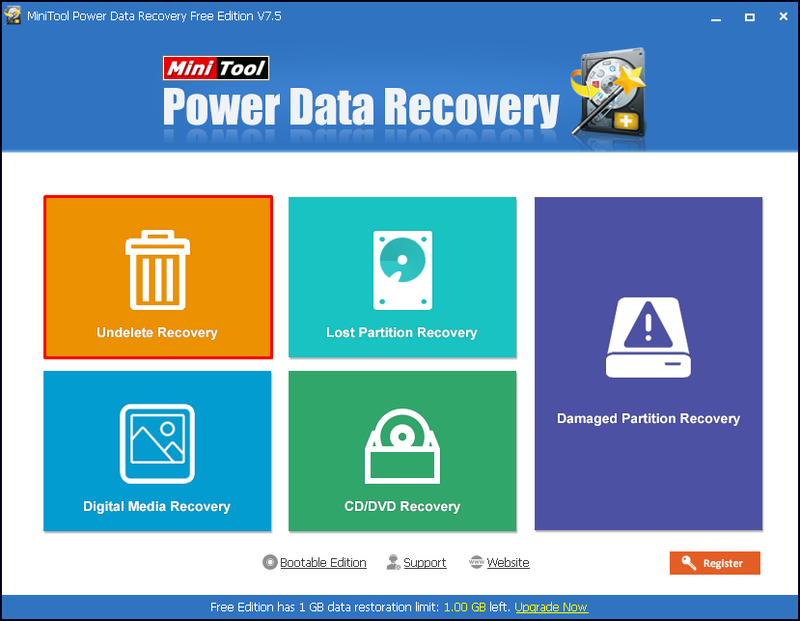 MiniTool power data recovery can recover files from hard-drive, CD/DVD and also from flash drives. This includes Sd card recovery, USB stick, memory card recovery and other media storage. This tool is able to perform deleted drive recovery, restoring damaged drives and also photo recovery tool is available from MiniTool. 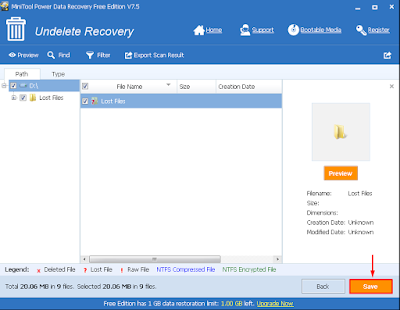 MiniTool provides the lost partition recovery for both MAC and Windows OS. You can run MiniTool power data recovery version 7.0, version 7.5 and version 6.5(old) on your Windows PC and it is supported on MAC OS X version 10.5 or above. MiniTool offers outlook express email recovery for Windows OS. This tool can recover .dbx emails easily. The best part is the scanning is completed without creating any damages to the emails. This tool provides an easy-to-use user interface which offers a rapid recovery procedure to rescue any deleted files from MAC and Windows OS. 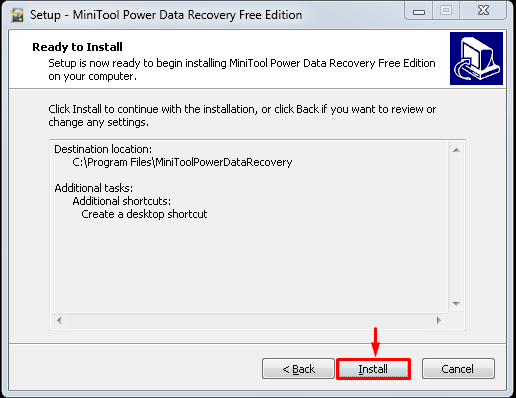 MiniTool does it in three easy steps--Opening the Recovery mode, Scanning the whole PC and Recover the desired files. MiniTool offers data recovery and storage recovery also on Android and iOS platforms. This simple and free tool can easily do the recovery without any failure. Performs recovery on MAC, Windows, Android, iOS etc. Free Version with 1 GB of recovery. Can't minimize the window while scanning the PC. Free recovery limit only 1GB. Takes a long time for scanning. At first, run the setup and click on 'Next'. Now, complete the installation by clicking on 'Install' button. 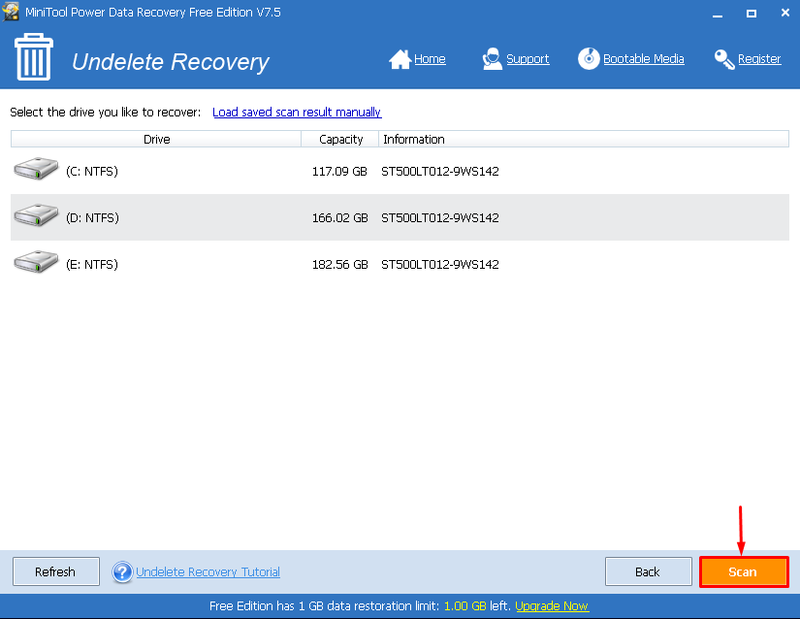 Now select and click Undelete Recovery in case of deleted file recovery. Now select the drive and start the scan process. Once completed, the files will be shown in 'Lost Files' folder. You can select the entire folder by ticking or a particular file by opening that folder. Once found just tick and click 'Save'. Now you have to choose the destination folder to save that file. This is the procedure to completely recover a lost file for Free with MiniTool's version 7.5 recovery wizard. MiniTool could be a good choice if you need a free data recovery tool. But, remember the limit of free recovery is only 1GB. We have not found any issue of error logs at the time of scanning process. The very good finishing rate in recovering files and enough in the free version. However, for more success rate you can purchase the PRO version as per your need at $79 for MAC and $69 dollar for Windows OS.